Hi guys - some opinions please. After a lot of deliberation (and the onset of cold weather!) I have decided not to install A/C in the Green Machine. My reasoning is that my new (old) Mk1 sunroof canopy has a sunroof (duh), and air extractor vents for when its raining and the sunroof is closed. 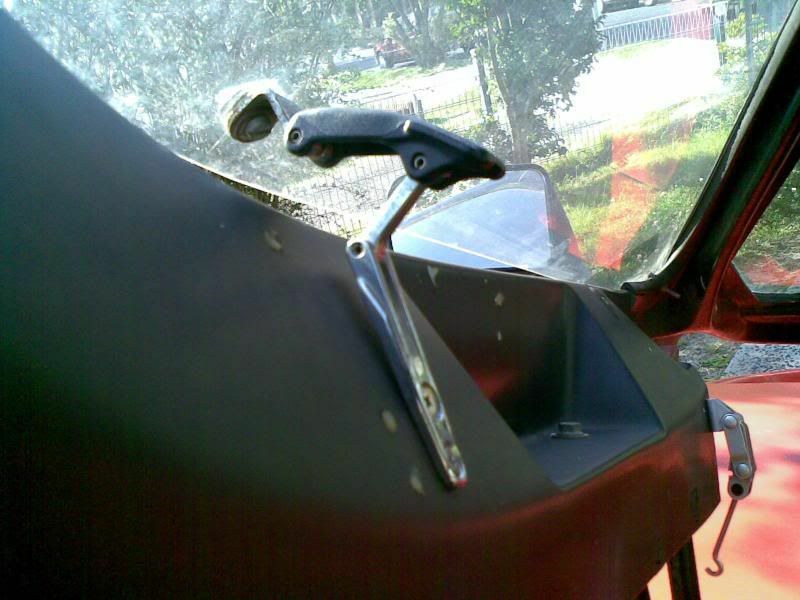 However, this still leaves the question of how to get airflow into the cockpit, as the sunroof and vents merely allow the air out. I currently have fresh air intakes either side of the radiator grille. These don't provide a lot of airflow with my current (sealed) canopy. I was thinking of foregoing my glass side windows in favour of tinted Lexan, so I can use those natty little aircraft vents, similar to the ones Jim fitted to Nena. How did these work out for you Jim? The Ford GT40 had three NACA ducts on the nose - two small ones inboard of the headlights for the dashboard face vents and a single, larger NACA duct in the middle just in front of the windscreen to feed the fresh-air demister plenum. Green Machine uses an offset windscreen wiper spindle, so I could fit a NACA intake into the canopy moulding just below the windscreen to feed the heater/fresh-air system instead of the nose intakes. The latter can then be turned over to brake cooling. I currently have fresh air intakes either side of the radiator grille. These don't provide a lot of airflow with my current (sealed) canopy. Shouldn't you wait to see if with the sunroof these provide air flow? Could you not use inline fan units (one in each duct) to help flow when the sunroof is open? Summer time for me is T Tops out along with the side perspex. I really want removable glass & hopefully 2011 will see that come to fruition. However, on the few occasions that I had to endure motoring with the tops in I did get hot, esp when stopped in traffic. I intend (When clam shells permit) to fit inline blowers (boat bilge extractors) in the side pods, to provide cabin ventilation, & a cool breeze. Despite fitting blanking panels behind the front wheels there is still a lot of air pumped into the cabin when the reek is on the move. My side "pockets" have vent holes in them and provide some fresh air once on the move. Due to current poor sealing I am guessing that the cabin air has some where to escape. I know this does not answer your question, but I think a move from glass to perspex side windows will be a step backwards. I had always intended to use the bonnet nostrils to provide cabin air, but that is still a pipe dream. Good luck with what ever path you choose to take. Thanks guys. I would like to wait until I have the sunroof fitted before I make a decision about the nose intakes, but the problem with that is the new canopy will be painted, glass fitted etc. by then, so I wouldn't be inclined to start cutting into the bodywork adding NACA ducts! Martin, I hear what you say. I would like to keep the side windows glass as well. 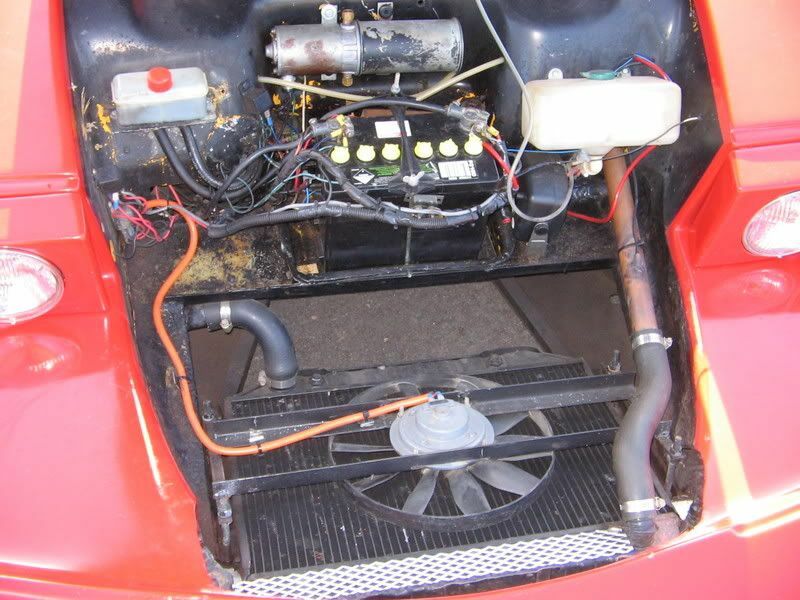 I just saw some pictures of the Vector W2 in one of its intermediate forms, and the side windows, as well as having removable sections (later converted to sliding windowlettes like the BMW 2002 Turbo) had two pop-out vents on each window as well. Unless anyone else has experience of these, I guess I am waiting for Jim to tell me how well they worked for him in Nena. There were a couple of advantages to using Lexan - a sheet of bronze tint Lexan it cheaper than the price I was quoted for glass (although that was toughened 5mm bronze tint with obscuration banding), and I would have enough surplus to experiment with windowlettes or removable sections. The downsides were figuring out how to apply obscuration banding to Lexan and suitable bonding techniques (I don't want to use fixing screws). So its still up in the air at the moment! The downsides were figuring out how to apply obscuration banding to Lexan and suitable bonding techniques (I don't want to use fixing screws). Would the stuff I and Jemp have used for glass not be applicable to lexan? The obscuration looks very clean and tidy and the glass adhesive certainly sticks like the proverbial to a blanket, however I have no experience with lexan. Hi Rob - no, that is useful information, thanks for sharing! 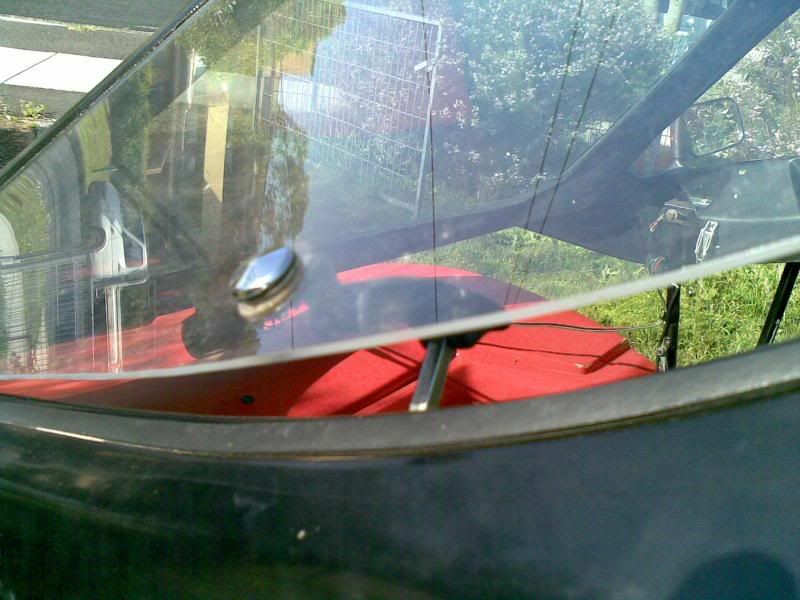 Your experience tends to confirm that (at the mid-bonnet point at any rate) there is very little positive pressure differential compared to the cockpit, which suggests the flow is laminar at that point. There might be a little bit of positive differential at the base of the windscreen, but the body contours blend so well that I can't imagine there would be any significant disruption to the airflow, which would be required to create a high pressure area. Obviously the windscreen wiper messes things up, but probably not enough. I was expecting great things, but there was b*gger-all difference in the airflow through the face vents (connected to the nose intakes), although some of the draughts around the canopy sealing line were more apparent, suggesting that if I got my outside air from somewhere else, maybe things would be better. Thanks for all of your thoughts and recommendations so far. PS - rear bearings now replaced, modified stainless canopy hinges due by the end of the week. All being well I will be able to go to the AROC Christmas dinner on Sunday in the Green Machine! I had tinted side windows until they crazed and fell out, I replaced with clear perspex and wow they can be hot in summer. With the sun roof out the sun burns your head, if like me your protection has thinned out with age. The only through air flow in the cab is when the sunroof is open, this even hepls with demisting but in rain it causes problems even with stock beetle heaters. Independant air exit in the cab would be good, air in is not a problem due to the number of open spaces around the bodywork; but when the sunroof is shut all air in stops due to restricted means of air getting out. Don't forget fluid dynamics (again, it keeps coming up, doesn't it?). If it comes in, it must be able to go out. If you've got a vent into the cabin from ducting at the front, and the cabin is sealed (ie, no operable windows, sunroof, targa panel, ect), then your air flow is going to be minimal. Most of the 'reeks here in Oz have removable windows (there are one or two with fixed windows! ), plus vents/ducting. A couple are now sporting a/c. Now my current set up in unique, but should give some food for thought. When Ron was rewiring my car, he made a fiberglass panel that goes over my radiator up front. He also added ducting to my car, as it didn't have any! But as my car was practically open top, the vents weren't really used anyway. So three vents no work via ducting, the 4th is there for looks. He just ran out of ducting. Now running around with Ron's 'standard' roof, I've noticed if I have the vents open, and one of the windows popped open, I get better air flow than with just the vents open (fluid dynamics). However, I usually don't run with the windows in unless I have too, gets quite warm otherwise. Now here's the thing. 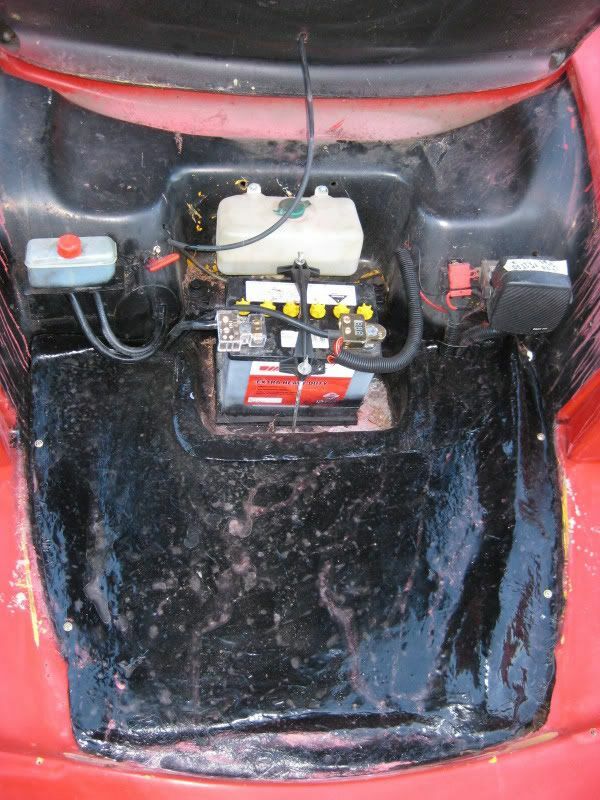 When Ron made that fiberglass panel to go over my radiator, he made a positive pressure area up front. Wether by design or accident, I have no idea, probably the latter. My car has a couple of ashtrays that were there when I bought the car, a couple of those 'D' shaped concealable ones, I have a feeling they came from a Chrysler/Valiant. These just sit snug in their holes, just above where people tent to stick speakers up near their knees in the sides. Also, there are two small squares cut into the side pods on the inside, up near the top. These would have been for the rubber hold downs used to 'lock' the roof in place when the roof was manual however many years ago. They've never been filled in. But after the addition of the fiberglass panel, when driving at speed I've noticed a fair amount of air being forced out of those tiny square holes. And at freeway speeds, those ashtrays get blown out onto the floor, often ending up some 6" - 8" away from the sidepod! Obviously some form of air in/out system is needed. Now your system already has extractor vents, you're looking for a better intake system. Hmm, what about an airbox up front, but instead of feeding the engine air, it's feeding the cabin. Would an airbox make a positive pressure area? The airbox gets fed air from the front, and then up to your vents in the cabin. Of course I know you have a custom tank up front, but also you're running a spaceframe, so really only you know if that's an option. At the very least, try experimenting with some perspex windows. Most of us over here in Oz run removable windows with latches from the rear quarter windows from old Colts/Mazdas. Similar latches can be had of current extended cab utes (Toyota Hilux). The windows normally screw in, and the latch opens the windows several inches for air flow. Try the windows first, before taking to the fiberglass.